You’ll have had your tea….so how about coffee? 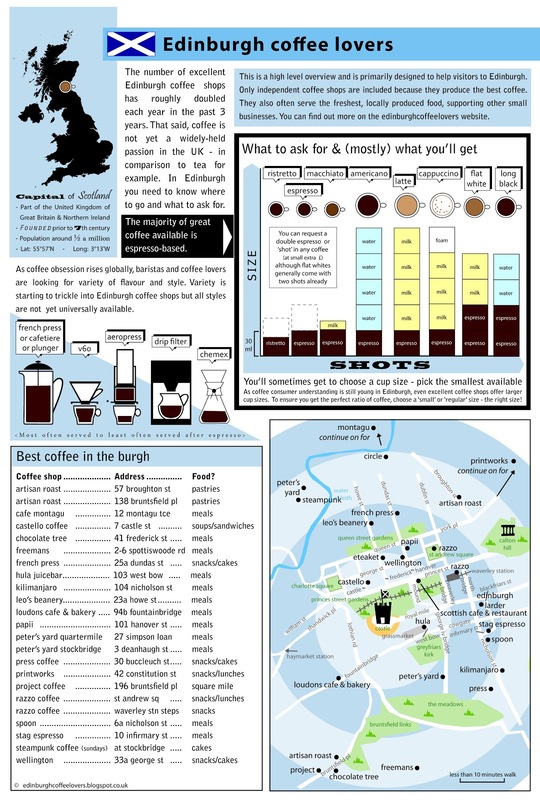 Edinburgh has some of the best independent coffee shops around which is great for us locals but even better for caffeine hungry tourists looking to sample some of the city’s best cafes. Over the last few days we’ve been hunting out some of the some of the top places to grab a cup of coffee in the capital so we can share them with you. Here’s our thoughts – let us know what you think of our choices. 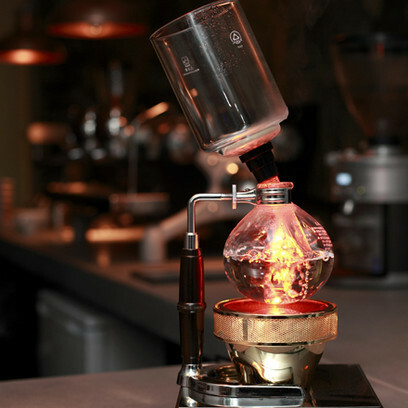 Brew Lab Artisan Coffee Bar is a specialty coffee shop in Edinburgh serving single origin brewed coffees and espresso. This is a quirky, alternative place on South College Street that showcases some of most exceptional local artisan produce Edinburgh has to offer. The innovative brewing techniques on offer at Brewlab. They tell us that they “meld traditional and innovative brewing techniques” to create a new coffee shop experience. Judging by this picture, that is certainly the case! You can find this coffee house in both Stockbridge and Quartermile, where they serve Artisan Roast coffee. This place has a great reputation amongst Edinburgh foody folk and coffee fans. The shop at Quartermile is located right next to the Meadows so grab a take-away cup and enjoy it on a walk around the park. This is the ultimate coffee experience based on Broughton St and is a “must” if you’re visiting Edinburgh. They brew their own brand of coffee which is served in cafes all across the capital and is fast becoming the go-to brand for pure coffee excellence. A lovely family run cafe slap bang in the middle of the Georgian New Town. They’re very up on their coffee here and also serve some delicious tasty treats as well which makes it a bonus. This place has a very good reputation among locals in the city so well worth checking out if you’re down that end of town. Found in St Andrew Square and on the Waverley Steps, this is simply great coffee at it’s unpretentious best. Perfect if you’re in a rush and looking for a tasty pick-me-up.